Maintain marketing and sales contact information on prospect and clients. Add and classify as many contacts and addresses as desired. Write custom queries to visually map just about anything. A common use case is mapping prospects to make sure they fall outside of non-compete regions. Record call backs and appointments on the Outlook® style calendar. 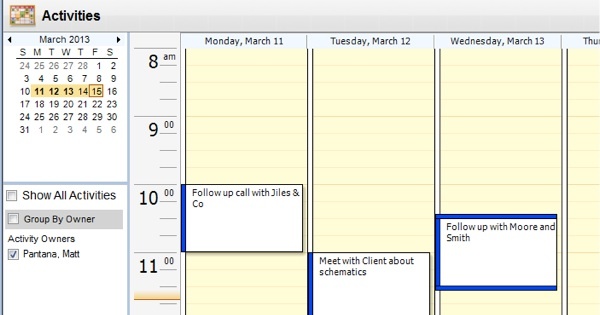 View your own or fellow coworker calendars simultaneously. Record individual notes stamped by date and entry person. Notes are of unlimited length. Categorize and sort notes on user-definable types.